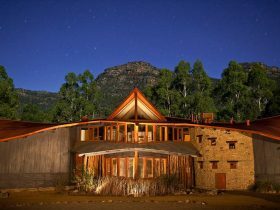 A beautiful, secluded self-contained rammed earth cottage, abutting the Grampians National Park, on 22 acres, with magnificent Grampians mountain views. A mob of local kangaroos graze the property, together with emus and many beautiful birds. Enjoy watching them from the full-length windows spanning the front of the house. The stylish interior abounds with details -polished terra-cotta floors inlaid with river pebbles and tribal rugs,comfortable furniture , a modern well-equipped kitchen. The stone chimney is a central focus. – additional heating and air conditioning. Energy efficient and ecologically sound – cool in Summer, warm in Winter. 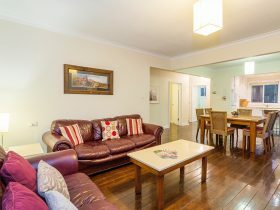 The perfect retreat for busy adults; sleeps four – comfortable Queen beds – full ensuite bathrooms – heating. 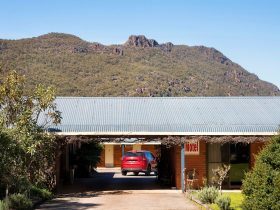 Expansive bedroom windows providing spectacular mountain views and the possibility for close observation of many native animals and birds. A special feature of the property is extensive gardens and terraces providing opportunities to enjoy the beautiful environment. 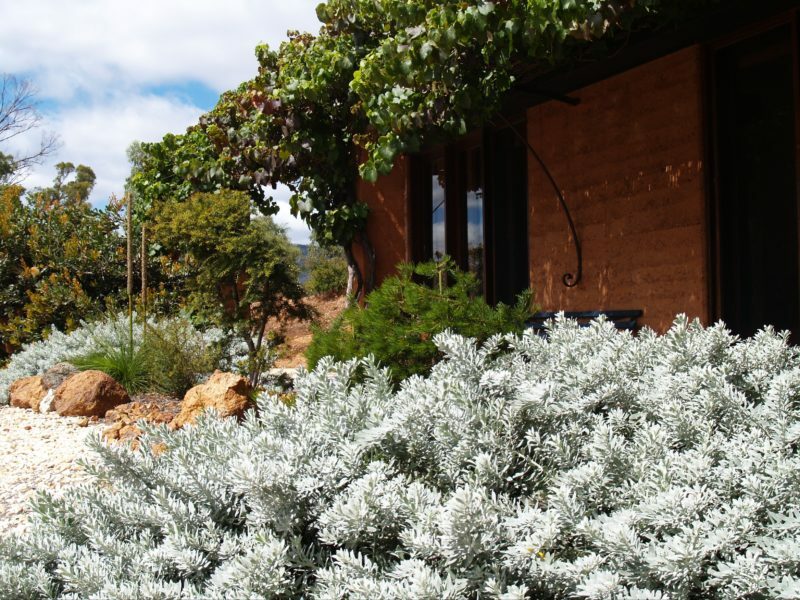 A vine-clad front terrace, native garden and outdoor dining facilities with gorgeous views of the mountain range. Herbs and citrus thrive in the sunny walled courtyard. 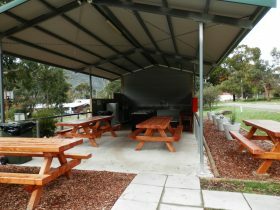 An alfresco kitchen, electric barbecue and magnificent mountain vista. 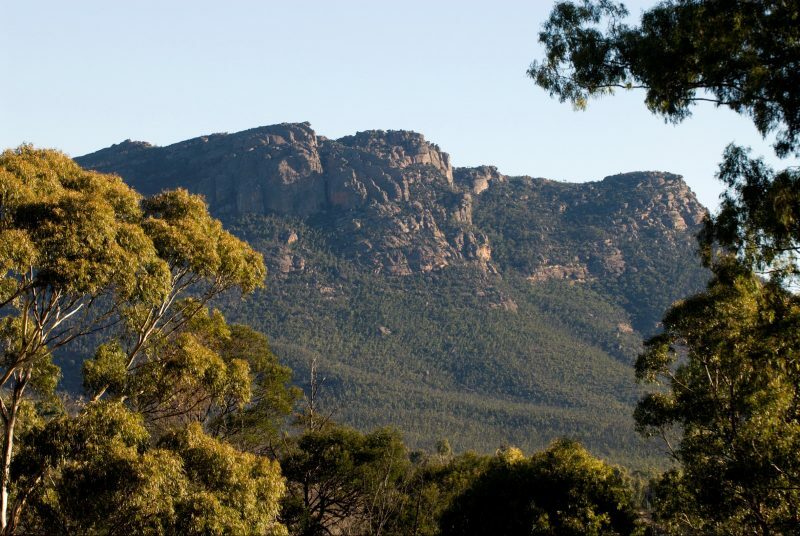 Peace and serenity at its best in the magnificent Grampians. 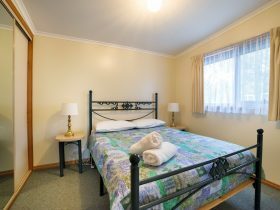 The Vista Room offers a comfortable queen bed with full en-suite. 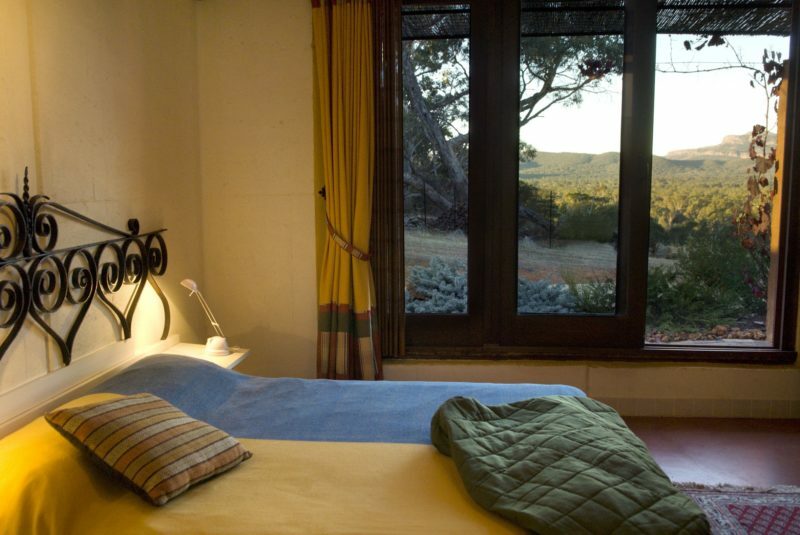 Wake up to the sun rising over the mountain range. Large windows allow you to gaze upon the spectacular mountain views. 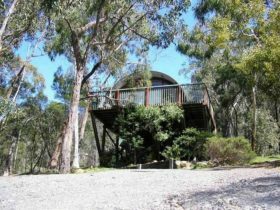 Beautiful native gardens outside your bedroom window attract a variety of birds and expect to see the kangaroos enjoying their breakfast. $270.00 weekday one couple. $480.00 weekend rate for two couples. 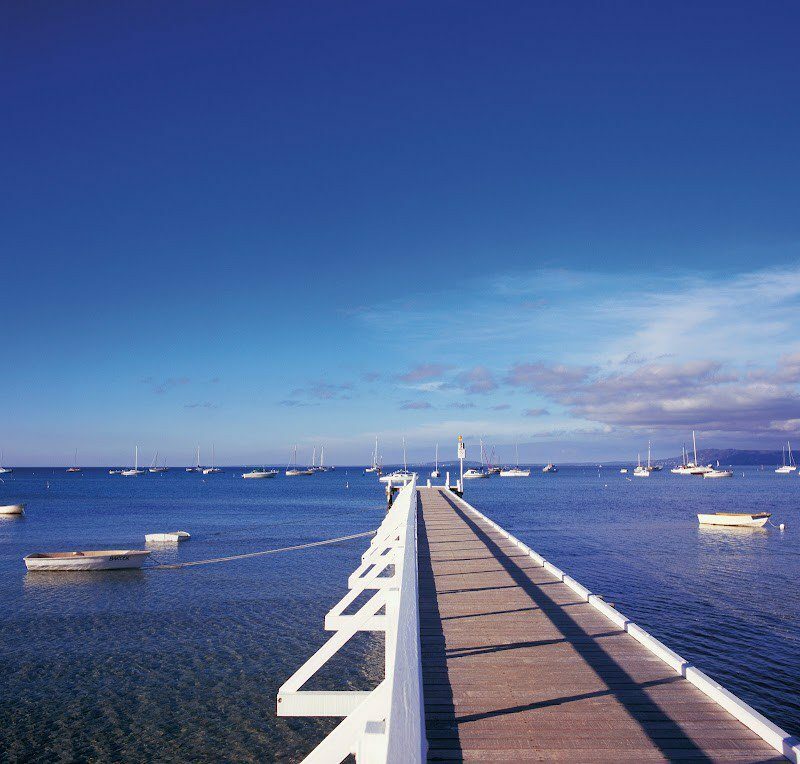 Mid week Special – four nights for price of three.